One of the most influential documentaries in recent years, the Sundance favorite PARADISE LOST is an emotionally raw, must-see crime doc from two of today’s most exciting filmmakers – Joe Berlinger and Bruce Sinofsky (the team behind “Metallica: Some Kind of Monster,” “Brother’s Keeper“). This dark odyssey began with the tragic murders of three 8-year-old boys, whose bodies were discovered in a shallow creek in West Memphis, Arkansas. The community demanded justice, and one month later the police delivered: three local teenagers accused of sacrificing the boys as part of a Satanic ritual. Despite overwhelming public antipathy towards them, defendants Damien Echols, Jason Baldwin and Jessie Misskelley steadfastly maintained their innocence. Although the trial produced virtually no physical evidence connecting the defendants to the crime, the town, the jury, and the police felt they had their killers, and used the young men’s penchant for heavy metal music and black clothing and fascination with the Wicca religion as evidence of their guilt. With unprecedented access to all the players, Berlinger and Sinofsky captured the events as they unfolded before their cameras. 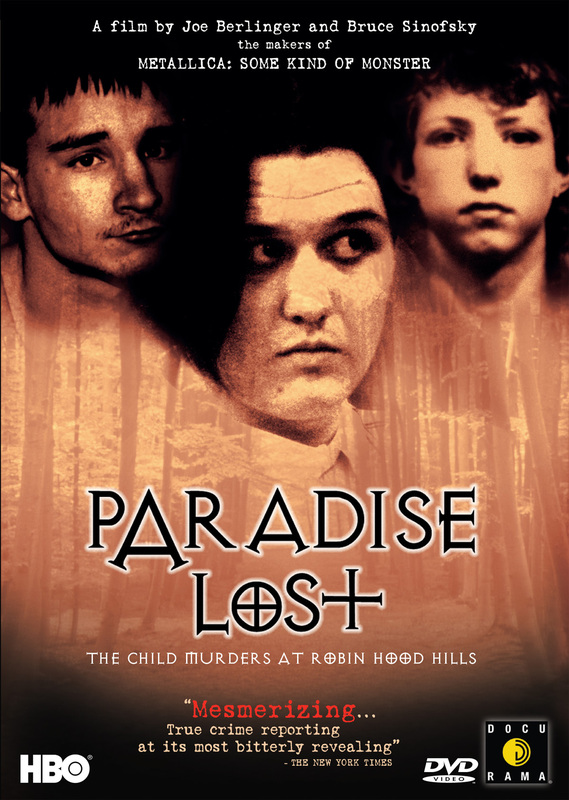 From actual courtroom footage and clandestine jailhouse interviews to behind-the-scenes strategy meetings and intimate portraits of grief-stricken families, PARADISE LOST is a shocking yet uniquely American real-life drama.